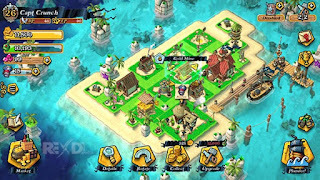 BUILD an epic 3D pirate island fortified impenetrable defenses and plenty of firepower. SEE your island from every angle in killer 3D graphics. 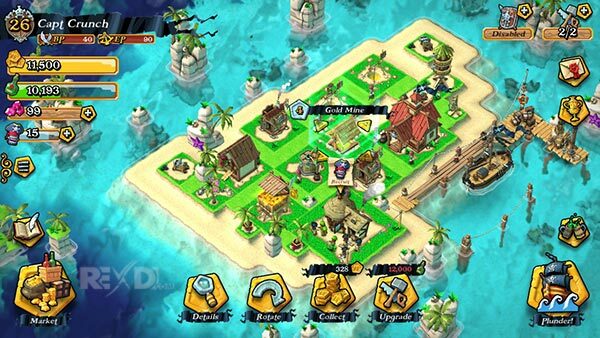 STORM other players’ islands in real time and plunder their booty! RECRUIT a crew from 10 different classes of seafaring scoundrels – each with unique skills. UPGRADE everything! Sail farther, get stronger, do more damage, protect your gold. JOIN a Pirate Guild with your friends for Guild perks. Plan your exploits in guild chat. 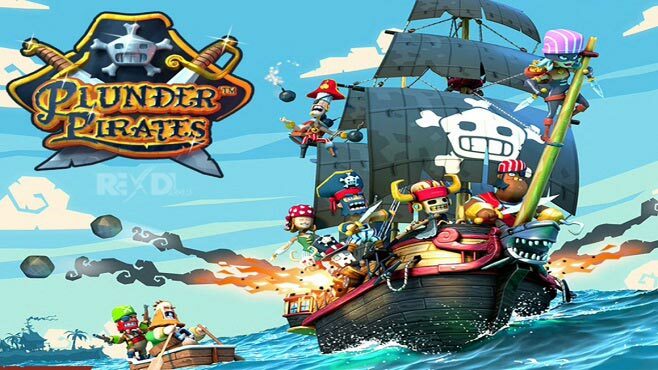 EXPLORE uncharted waters in your mighty pirate ship. FIGHT naval battles with gruesome sea monsters and enemy ships. 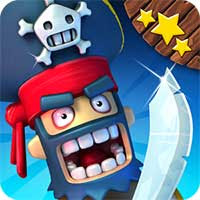 COLLECT Legendary Pirates – The most notorious plunderers ever known! Time to dig out some old favourites from the wardrobe, upgradable Outfits are here! Duplicate Outfits will now upgrade your existing Outfits with buffs for both your Legendary and Tavern Pirates! New Chest types available in the Market and as game rewards. “com.roviostars.pirates” folder “android / obb” copy into.